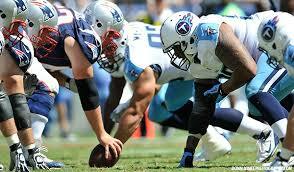 I am making a small play tonight on the OVER 48 in the Titans/Patriots Divisional Round Playoff Game. One of the keys to the Pat’s success is shutting down their opponents top weapon & make someone else beat you. For the Tennessee Titans their top weapon is their running game. I fully expect the Patriots will stack with the box with 8 & let Marcus Mariota beat them. MM was solid against a solid Chiefs defense, Throwing 19/31, 205 Yards, 2 TD & 1 INT. If anything he has a recent feel for being in a hostile road environment & leading a comeback. My point is the Titans will get their points against the Patriots defense, throwing the ball! The Patriots will of course get their points. If Tennessee jumps out to an early lead that would set the table for an easy OVER cover tonight. Patriots put up 63 points in their last 2 games of the season, must win games. Their offense is playing well & Should have no problem dropping 30 plus points tonight.